We've included listings for companies such as Johnson Level & Tool and Craftsman Tools (Sears) inside our Levels guide. In business since shortly after World War II, Johnson makes a diverse line of high quality levels, measuring tools, laser levels, flagging tapes, plumb bobs, framing squares and more. Tools are sold through retailers - as well as directly through the company's website. Maker of the original "Speed Square" as well as a varied selection of other squares, levels and straight edges. Manufacturer of high-quality builders' levels, tape measures, plumb bobs, plus a full line of laser levels. 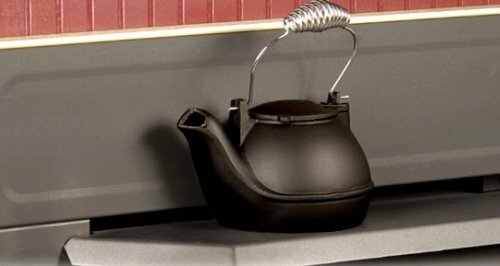 Half-kettle is designed to fit on wood stove inserts. 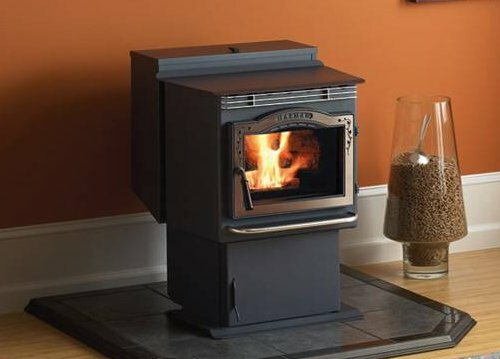 Manual ignition pellet stove is designed to fit tight spaces.